For Delta, Langley or Surrey BC adults who are considering orthodontic treatment, Invisalign clear aligners offer a convenient and flexible option. Can adults really get orthodontic treatment? Yes! While many people associate orthodontic treatment, and especially braces, with children and teenagers, more and more adults these days are choosing to correct teeth misalignment issues that have been troubling them all their lives. As long as you have healthy teeth and gums, there's nothing to stop you from achieving the straight smile you've always wanted. However, many adults balk at the idea of wearing traditional metal braces, for fear it will make them look too young, and that they won't be taken seriously as a result. While metal braces have become far more common in adults in this day and age, there is a lower profile, less obvious option: Invisalign! Invisalign clear aligners are made of a transparent plastic material, making them nearly invisible when placed on the teeth. Many people won’t even notice you’re undergoing orthodontic treatment, and so you'll find that you won't feel as self-conscious about or "aware" of how your teeth look – at work or at play. With Invisalign's smooth, comfortable aligners, there are no irritating brackets or wires, making them very comfortable to wear. And since they're removable, you can fit them almost seamlessly into your day-to-day life; just pop them out to eat, or to brush or floss your teeth, and then pop them back in when you're done. Invisalign also requires fewer dentist visits, so you don't have to add as many additional visits to our office into your busy schedule! 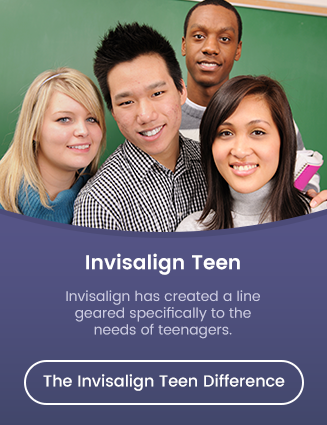 Get on the path to a straighter smile with Invisalign – Contact Straight Smile Centres today!